The guys don’t get as many swimwear options as the ladies. Have you been searching for an acceptable swimsuit? 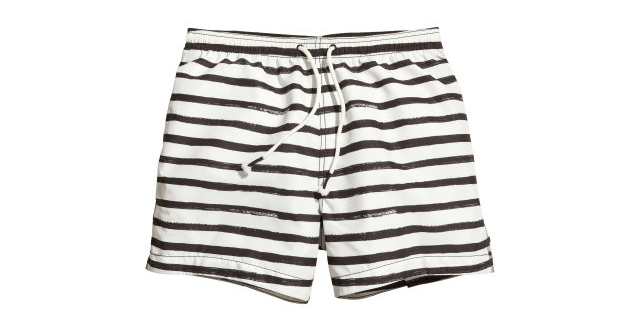 You can pick one up at H&M this season, they have a simple swim short in a great black and white stripe pattern. Black and white stripe is a fun pattern for swimwear, bringing to mind early 1900s swimsuits (often paired with a handlebar mustache). Grab this suit now before it’s off the racks and use it all summer. The Black White Striped Swim Shorts are available online for $18 at www.hm.com.